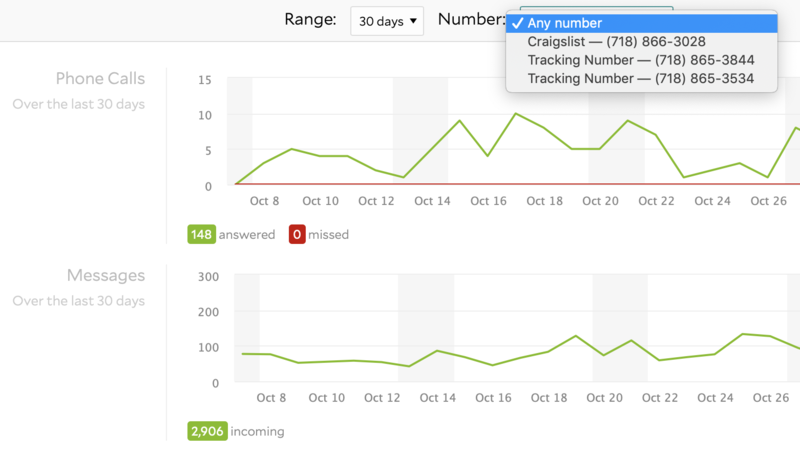 with six years and millions of ads posted, we're the best when it comes to delivering results from craigslist. work with our team of experts to create custom advertising campaigns designed for your market and budget. connect with one of our craigslist experts to establish a budget, then set up auto post to create an ad campaign accordingly. say however much you are looking to spend per day/week/month, whatever! then rely on our experts to schedule your posts at times that are proven to show maximum results. 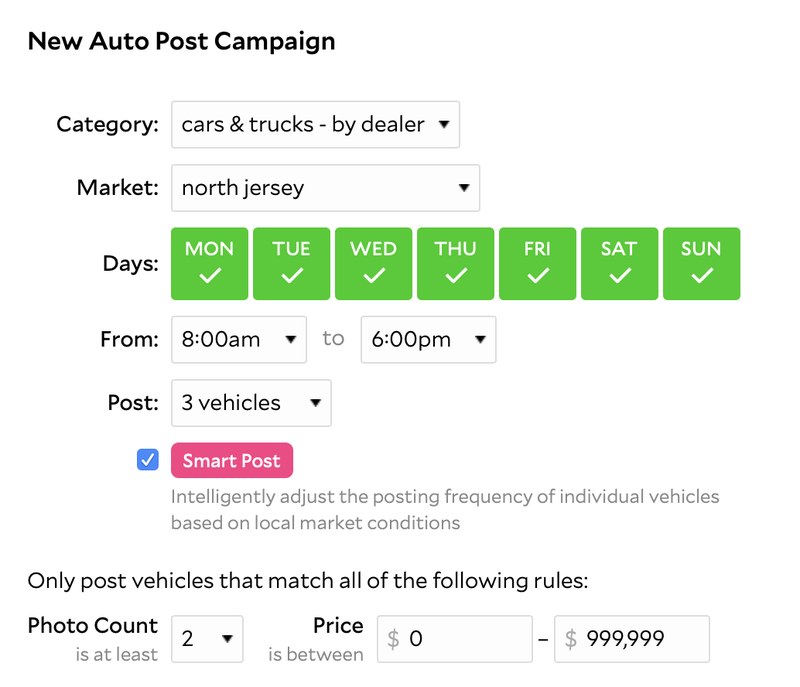 our smart post tool uses a specific formula to most efficiently post your cars and stretch your budget. 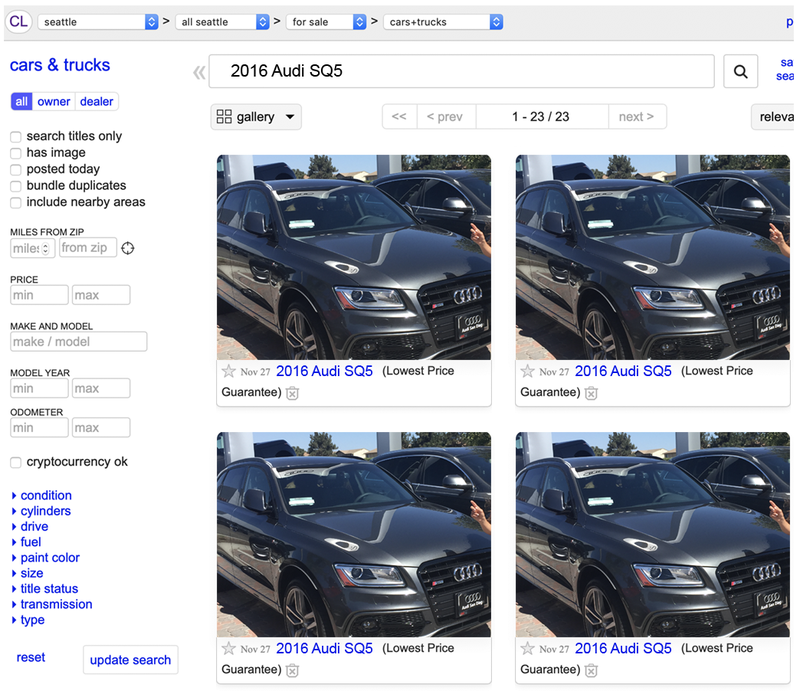 your more unique vehicles will be posted less than more common ones to avoid paying for multiple posts of a car already at the top of a search. your advertising budget won't be wasted with us. if you'd like to take a more hands-on approach to your advertising that's fine too! manually post your vehicles in seconds, manage your inventory, and buy posting credits all from our incredibly simple and easy to use interface. we'll also provide you with a unique tracking number that'll route all your messages to one place. oh.. and they're callable too! you won't have to guess where your sales are coming from. a short prerecorded message will always let you know where your customers are coming from.